With the historical worldwide success of Baahubali The Beginning, expectations on the film’s sequel, Baahubali The Conclusion, have touched the sky and naturally, there is bound to be a lot of pressure on the film’s team and especially on the man behind this epic, Rajamouli. However, Rajamouli claims that he is not tense at all and explains the reason. 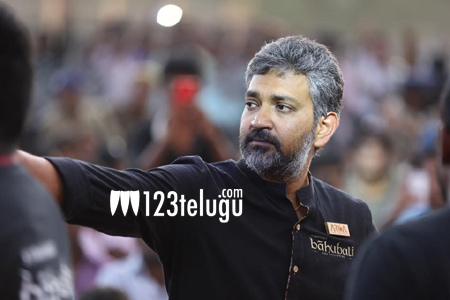 Rajamouli surprisingly said that the gigantic expectations mounted on the film’s second part by the movie lovers acted as a stress buster and reduced the pressure off his mind. Jakkanna further exuded confidence on the second part repeating its predecessor’s success.